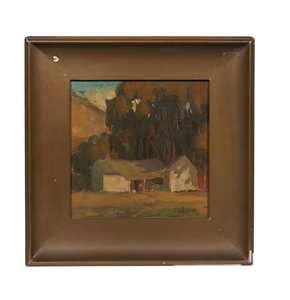 Framed oil on canvas landscape with house and figure executed in textural brushstrokes. Signed lower right, "H.G. Barr". Bears Rabjohn & Morcom / San Francisco label verso. 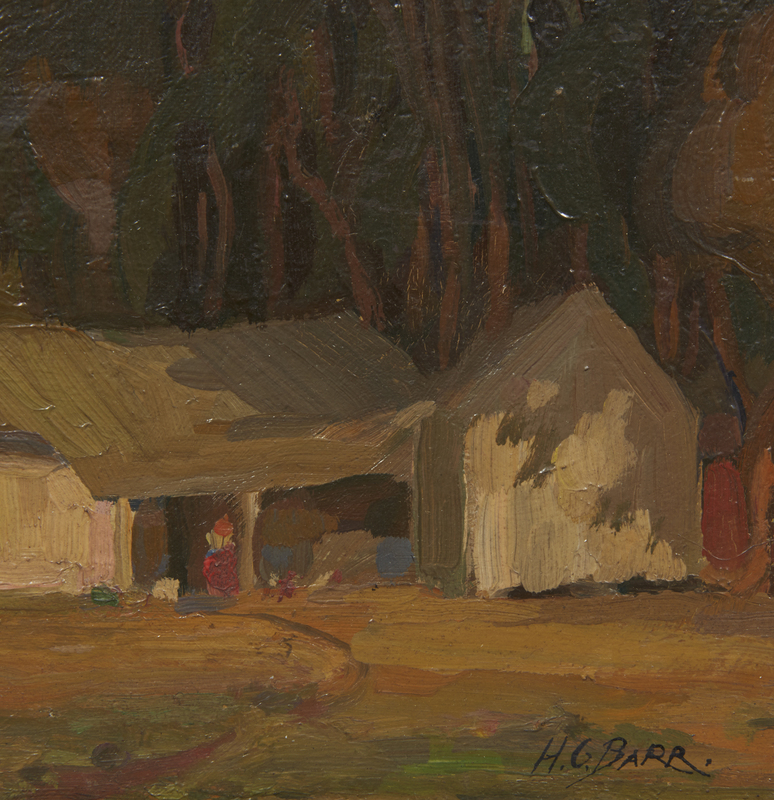 Also bears a handwritten note verso stating Harry Barr of Portland is the artist and studied in Paris. Dimensions: 8.12"h x 8.12"w; (framed) 12.25"h x 12.25"w. Processing and shipping within the continental U.S. $40.00 plus 1.5% replacement cost insurance. Scattered wear and losses to frame. Painting in good condition. 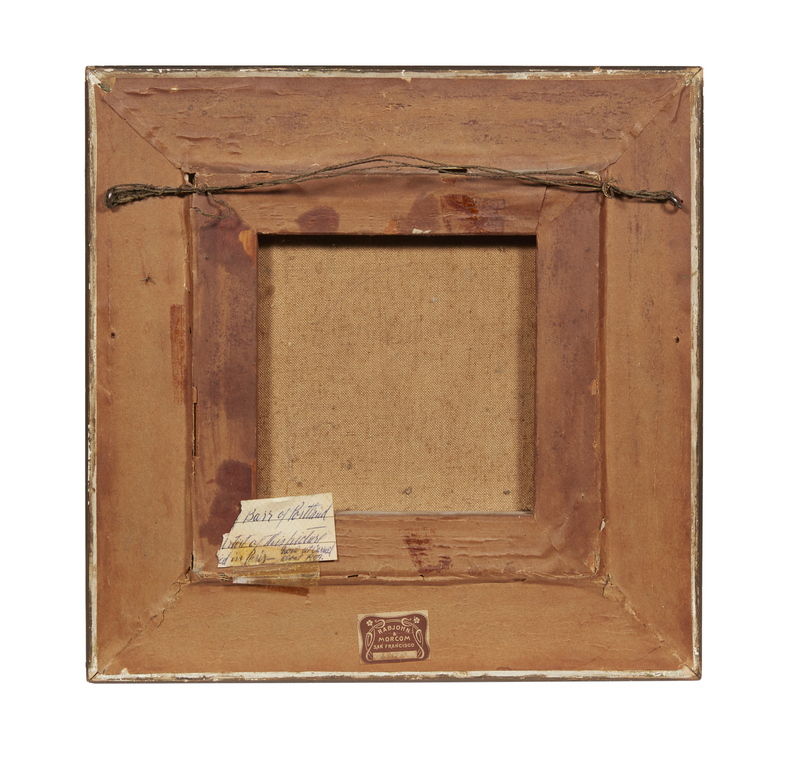 Witherells strives to provide as much information and photographs as possible but encourages in-person inspection by bidders. Condition statements are only for general guidance and should not be relied upon as complete statements of fact and do not constitute a representation, warranty or assumption of liability by Witherells. All lots are sold "AS IS" under the Terms & Conditions.